On July 21, 2015, the Internal Revenue Service (“IRS”) issued Announcement 2015-19, in which it announced that it would be making substantial changes to the determination letter program intended to allow retirement plan sponsors to ensure that their plans are qualified (eligible for tax benefits). This announcement will affect all retirement plans intended to be qualified, but will create particular issues for plans maintained by governmental employers (“governmental plans”). Under the existing determination letter program, as set forth in Rev. Proc. 2007-44, 2007-2 C.B. 54 and Rev. Proc. 2015-6, 2015-1 I.R.B. 194, a plan can generally request a determination letter with respect to its qualified status once every five years, during a period specified in Rev. Proc. 2007-44. For most private plans, the applicable period is determined based on the employer identification number of the employer that maintains the plan. All governmental plans follow the same cycle. (Indeed, in each instance, they have actually been permitted to file during either of two of the five cycles. The current period for requesting determination letters for governmental plans runs from February 1, 2015 through January 31, 2016, and is available to any individually designed governmental plan that did not file during the February 1, 2013 through January 31, 2014 period. Any determination letter request filed outside of the period specified will be considered only after all determination letter requests filed on-cycle have been considered, which as a practical matter means that it will never be considered. Announcement 2015-19 means that the February 1, 2015 through January 31, 2016 period may be the last chance for state and local retirement systems and other governmental plans to obtain formal IRS reassurance that their plans are qualified. This article discusses why a determination letter is important, and what needs to be done to obtain one before they become unavailable. A qualified plan (described in section 401(a) of the Code). This group includes 401(k) plans as well as most traditional pension plans. A 403(b) plan, sometimes known as a tax-sheltered annuity. A 457(b) plan, sometimes called a deferred compensation plan. An individual retirement account or annuity (“IRA”). Unfavorable income tax consequences for employees. Unfavorable FICA (Social Security and Medicare) tax consequences for both employers and employees. Unfavorable income tax withholding consequences, which may affect both employers and employees. Unfavorable tax consequences to retirees. Loss of tax deductions for contributions to the plan. Taxation of earnings on the trust that holds the plan assets. An employee who participates in a nonqualified plan will be taxed on the value of deferrals under the plan as soon as they become vested (i.e., not subject to being forfeited if the employee leaves employment). In the year in which the contributions become vested, the employee will be taxed on the value of all previously accrued benefits. Thereafter, the employee will be taxed each year on the value of that year’s deferrals. For example, consider a typical governmental retirement system in which the employer and employee each contribute X% of compensation to the plan. The money is put into a trust to satisfy the plan’s ultimate obligations to employees. The employee is immediately vested in his or her own contribution, while the employee becomes vested in the portion of the benefit attributable to employer contributions only if he or she remains employed for at least five years. Typically, the employee contribution is “picked up,” which means that certain procedures are followed that are intended to cause the employee not to be taxed on that portion of wages which are contributed to the plan. Suppose, however, that the plan is found to be nonqualified. The employee will be taxed on his or her own contributions (even though they are “picked up”) every year. Moreover, after five years, he or she will be currently taxed on the accumulated benefits attributable to the employer contributions–even though the employee cannot actually receive those benefits until retirement. Thus, the employee can end up liable for taxes, without having the income to pay the taxes. The issue is particularly acute in the case of a defined benefit plan (one in which benefits are specified in the plan, rather than being equal to contributions made plus earnings thereon). In that case, not only is the employee taxed on the value of the employer’s contributions as they become vested, but the employer may be required to engage in complicated (and expensive) calculations to determine the value of the employee’s interest. Under certain circumstances, the employee may even be subject to a special 20% tax in addition to the normal income taxes on the deferrals. Contributions to a retirement plan, other than certain contributions taken out of an employee’s wages, are typically not subject to either employer or employee FICA (Social Security and Medicare) taxes. However, contributions to a nonqualified plan are subject to Medicare taxes, and are subject to Social Security taxes if the state is a Social Security state, or if the retirement system does not meet the requirements for a Social Security replacement plan. An employer is responsible for withholding income taxes, and the employee’s share of FICA taxes, from the employee’s wages. To the extent an employer mistakenly believes that a plan is qualified, and thus does not withhold the amounts of taxes due, the IRS can potentially go after the employer for the missing taxes. With limited exceptions, a retiree, former employee, or spouse of a deceased participant can defer tax on a distribution by having it rolled over to another qualified plan, a 403(b) plan, a governmental 457(b) plan, or an IRA. With limited exceptions, a beneficiary who is not a spouse can still defer tax by rolling over a distribution to an IRA. However, none of these options is available to someone who receives a distribution from a nonqualified plan. Not only is the distribution taxable, but there may be penalties if the distribution is rolled over under the mistaken belief that the plan is qualified. A taxable employer is generally permitted to deduct contributions to a qualified plan from its income tax. In the case of a nonqualified plan, contributions are deductible only when they become vested. In other words, the employer obtains a tax deduction only at the point at which the employee is required to include the contributions in income. A trust under a qualified plan is tax-exempt. Generally, a trust under a nonqualified plan is taxable. The one exception is in the case of a governmental plan. The one exception is that News Release IR-1869 provides that a trust under a nonqualified governmental plan is not taxable. In theory, a plan is not required to obtain an IRS determination letter in order to be qualified. However, as a practical matter, most plans obtain such determination letters for several important reasons. The qualification requirements of the Code are extremely complex. Moreover, the IRS itself has often changed its view of the meaning of certain of the requirements. Indeed, in some instances, different personnel within the IRS have taken differing views of the meaning of the same requirement. A determination letter provides certainty in two respects. 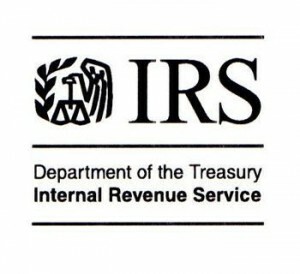 First, under Code section 7805(b), if the IRS issues a determination letter and later changes its position, the IRS will not impose penalties on the employer that obtained the letter or its employees based on following the IRS’s original position, provided that the factual statements used to obtain the letter were correct. This does not provide protection if the employer operates the plan in a way that is incorrect, but it at least provides assurance that the written terms of the plan will not cause disqualification. Second, as a practical matter, most auditing agents will accept a determination letter as evidence that a plan is qualified, unless they have a specific reason for believing that the plan has been operated in a way that would disqualify it. Plan A’s administrator verifies that the rollover check was issued by Plan B payable to the trustee of Plan A. The plan administrator may reasonably conclude that the trustee of the distributing plan treated the amount as an eligible rollover distribution. The problem with this procedure from the perspective of a governmental plan is that governmental plans do not file Forms 5500, and thus are not listed in the EFAST database. A determination letter can be useful as an alternative mechanism to prove to a receiving plan that the distributing plan is a qualified plan. Certain types of investments are open only to qualified plans. In many instances, the investment managers of such investments will want to see a determination letter as proof that the plan is an eligible investor. The five-year cycle will be eliminated, effective January 1, 2017, except that those plans that would have been permitted to file during the period February 1, 2016 through January 31, 2017 will still be permitted to do so. Those that would have been permitted to file later than that will be unable to obtain a determination letter based on the five-year cycle at all. All off-cycle filings are eliminated, effective July 21, 2015. The intent seems to be to prevent plans that will never again have an on-cycle period from filing now in hopes their requests will be considered after January 1, 2017. The Department of the Treasury (Treasury) and the IRS are considering ways to make it easier for plan sponsors to comply with the qualified plan document requirements. This may include, in appropriate circumstances, providing model amendments, not requiring certain plan provisions or amendments to be adopted if and for so long as they are not relevant to a particular plan (for example, because of the type of plan, employer, or benefits offered), or expanding plan sponsors’ options to document qualification requirements through incorporation by reference. What changes should be made to the remedial amendment period that would otherwise apply to individually designed plans under § 401(b)? Treasury and the IRS have received numerous comments concerning the rules relating to interim amendments, as described in section 5 of Rev. Proc. 2007-44. In view of the changes being made to the determination letter program, what additional considerations should be taken into account in connection with the current interim amendment requirement? What changes should be made to other IRS programs to facilitate the changes described in this announcement, including revisions to the Employee Plans Compliance Resolution System set forth in Rev. Proc. 2013-12, 2013-4 I.R.B. 313, as modified by Rev. Proc. 2015-27, 2015-16 I.R.B. 914, and Rev. Proc. 2015-28, 2015-16 I.R.B. 920? Comments may be submitted in writing on or before October 1, 2015. Among the most likely of the options being considered is permitting a plan to request a determination letter only when it is first adopted, or when it is terminated. In between those times, the IRS might provide only standard language to reflect changes in law or regulations. Part of the intent seems to be to encourage plans to adopt prototype or volume submitter plans, so that the IRS would need to review only documents used by many employers, rather than reviewing each employer’s plan. The amendment procedure for a governmental plan often requires legislative approval. Some state legislatures meet only every other year. Amendments may be neglected in the press of other legislative business. Thus, it is difficult enough to get plans amended on a timely basis every five years. Currently, the IRS has tended to overlook a failure to adopt annually required amendments, so long as all required amendments are adopted (or at least proposed) before the deadline for filing a determination letter with the IRS. If the only way to maintain qualification is to adopt model amendments annually, governmental plans will have a much more difficult time keeping up eith their amendment obligations. Most private employers offer defined contribution plans, which provide that a specific amount each year will be put into an employee’s account, and that the employee will ultimately receive the contributions plus investment earnings. Governmental plans, by contrast, are usually defined benefit plans, in which an employee is typically promised a particular benefit for life beginning at retirement. The calculation of the contributions necessary to fund the benefit, and the adjustment of the benefit if the employee wants something other than a lifetime annuity, are quite complex. Private plans often have the same structure for all employees. For governmental plans, the benefits are typically different for teachers, judges, legislators, or other groups. Governmental plans are often quite old. Thus, getting one determination letter at the inception of a plan and one at the end is likely to be a much bigger issue in a governmental plan than in a private employer’s plan, which is not likely to go on for as long. Governmental plans are typically required to preserve a variety of past benefit structures. A private employer can typically terminate its plan, or reduce benefits, even as to existing employees, so long as the employees remain entitled to the benefits already accrued before the change. Governmental employers are often required to preserve existing benefit structures, even going forward, with respect to everyone but new hires. Governmental employers are often heavily unionized, and there is often union resistance to modifying language negotiated over many years in such a way as to fit within a standardized plan. There are far more defined contribution volume submitter and prototype plans than defined benefit volume submitter and prototype plans. And the vast majority of volume submitter and prototype plans are designed for nongovernmental employers, and are not suited to be adopted by governmental employers (which are subject to very different rules). Thus, it is much more difficult to replace an individually designed governmental defined benefit plan with a volume submitter or prototype plan than to replace an individually designed private employer’s defined contribution plan with a volume submitter or prototype plan. If the IRS eliminates the current determination letter process, it will be difficult enough for governmental plans to ensure they are able to keep their plans updated with new laws and regulations. It will be exponentially more difficult to ensure compliance with the qualification rules if a plan has not obtained an IRS determination letter during the period when such letters are available. The plan must be amended to comply with all qualification requirements. If the plan has been out of compliance with qualification requirements in the past, corrective action must be taken. The plan must be filed with IRS. For a plan which has received a determination letter since February 1, 2008, Notice 2014-77 provides a guide as to what amendments must be adopted. A plan which has not received such a determination letter needs to ensure that is is in compliance with all requirements of the Code. A general guide to the qualification requirements for governmental plans can be found at this link. Adoption of plan amendments may be a cumbersome process in some instances. For example, if a plan must be amended by a legislature, the legislature may not be in session every year, and may take some time to consider any proposed amendments. In some instances, it may be possible to present amendments to the IRS in proposed form, and adopt them only once the IRS has approved them. However, it is important that at least the amendments be drafted before submission to the IRS. If a plan has failed to adopt plan provisions required by statutes and regulations in a timely manner, it will need to correct past issues and typically pay a penalty. Rev. Proc. 2015 provides guidance for how to correct such issues, and what penalties may be involved. Corrective action should be taken on or before January 31, 2016. A request for a determination letter must be made on Form 5300. It must be accompanied by a $2,500 filing fee. February 1, 2015 through January 31, 2016 may be the last time in which it is possible for an individually designed governmental retirement plan to obtain IRS assurances of its qualified status. Obtaining such assurances is important for a variety of reasons. Because the process for submitting to IRS requires time and attention to detail, it is important that it be started now rather than waiting until the last moment. 1. There are separate periods applicable to volume submitter and prototype plans. 2. This tax can apply if the deferrals violate the requirements of Code section 409A. These requirements are complex, and beyond the scope of this article. 3. The requirements for a plan to constitute a Social Security replacement plan are complex, and beyond the scope of this article. There are separate periods applicable to volume submitter and prototype plans. This tax can apply if the deferrals violate the requirements of Code section 409A. These requirements are complex, and beyond the scope of this article. The requirements for a plan to constitute a Social Security replacement plan are complex, and beyond the scope of this article.